Editor’s Note: This article originally appeared in Commercial Construction & Renovation magazine. See the original post here. —Ben Graham, president of Graham’s Style Store. 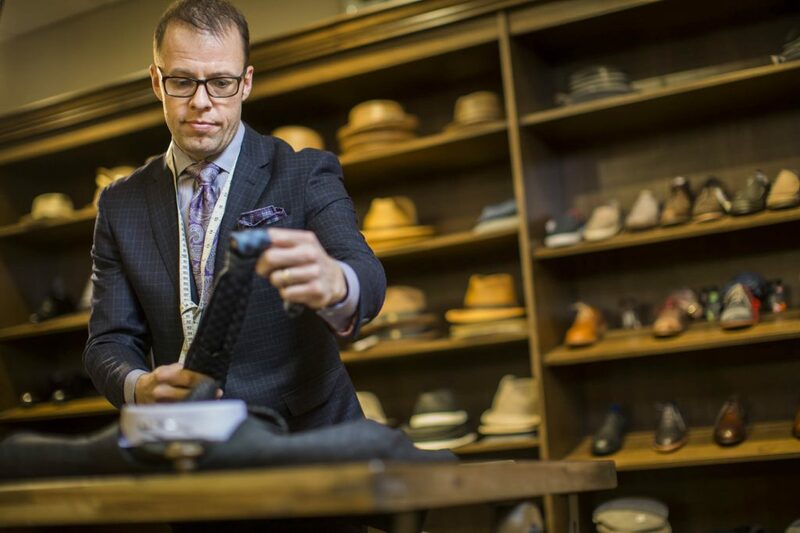 Ben Graham is the fourth generation of his family to lead Graham’s Style Store—a high-end fashion boutique in Dubuque, Iowa. Founded in 1936, the store has expanded from a menswear store to become a men’s and women’s fashion destination for the Midwest. Graham’s specializes in finely crafted clothing with rich colors and luxurious fabrics. When it came time to update the store, he knew he needed lighting solutions of comparable quality to his merchandise. He wanted his wares to be seen in the best light. In brick-and-mortar retail, quality lighting is critical to motivating shoppers to buy. Put simply, when merchandise looks good, people buy it. If that’s the effect of good lighting, what actually is “good” lighting for retail? Good lighting provides basic illumination, direction and wayfinding, sets the mood for the store, puts the spotlight on merchandise and makes it look its best. When it comes to making merch look good, a light source’s color quality is key. Color quality is typically expressed in measurements called CRI or TM-30. (Editor’s note: See our explainer on CRI vs. TM-30). The Color Rendering Index (CRI) is a 0-100 point scale that measures how accurate colors appear under a light source, as compared to the sun. One hundred is a perfect score. LEDs with a score more than 90 are considered “high CRI” and deliver high-quality light. TM-30 is a newer color scale that measures color rendering and saturation across 99 colors, rather than CRI’s eight colors. CRI is still the lighting industry standard, although TM-30 is starting to edge it out. Both are valid measures. Here’s a good way to visualize what color quality means: Think about sun light versus the lights in many public restrooms. Natural light tends to be very flattering. You see yourself outside and you look great. That’s good color quality. In contrast, you step into the restroom and the person in the mirror looks ill. That’s poor color quality. Color is a top factor in buying decisions. According to research from the Seoul International Color Expo, 93 percent of customers list visual factors as their top consideration when shopping. Additionally, 85 percent of shoppers say color accounts for more than half of the factors they consider when purchasing a product. With quality lighting, you are essentially bringing the sun into the store. Under good lighting, rich colors make products shine. Textures come to life. Patterns are eye-catching. A light with poor color rendering makes products appear dull and unappealing. This influences customers to purchase additional items as LED lighting better facilitates color matching. LEDs aren’t like other light sources. Before LEDs, light sources relied on heating filaments or exciting gases inside glass bulbs to create light. LEDs are illuminated by the movement of electrons in a semiconductor material. This crucial difference allows for more lighting options and better quality light for retailers with LED lighting. Light falls on a spectrum and conventional light sources emit light at fixed points along the spectrum. 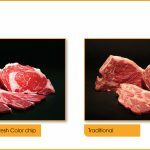 Since LEDs are made from electronics, they can be optimized to showcase the product colors on display. There’s no magic number that will work for all retail situations, which is the beauty of the flexibility of LEDs. It depends completely on the brand aesthetic, the products on display and the mood the store needs. LEDs can be optimized for every situation. In a jewelry store, a neutral white light with high CRI will render flesh tones very well—so when someone tries on a ring, it’ll look fantastic on their hand. In a coffee shop, warm lighting will highlight the pastries and create a homey environment. Let’s go back to Graham’s Style Store. The brand is built around its history. The store features dark wood shelving and display units. A place like this needs warm-toned light (2700K – 3000K) to complement the historic feel so that was the solution we designed for them. As a counterpoint, picture a retailer like Apple. Its sleek minimalism evoking modern technology. Displays of white and silver products, surrounded by white walls. The lights are a punchy cool white. Graham’s and Apple couldn’t be more different in terms of brand style, but both are leveraging quality light to look their best and appeal to customers. LEDs are the retail lighting of the future and they are the lights that can best help you create the attractive and compelling environment in your stores that stirs customers’ desires and galvanizes purchases. LEDs are also a potent weapon in the competition between bricks-and-mortar stores and online retailers: online, a customer will have a photo or two of the product to see, but color subtleties and textile textures are easily lost when viewed on screens. On the other hand, when customers see the actual products under the right light in person, they can appreciate nuanced differences in color shades. With quality LEDs, colors really pop. LEDs have made enormous advancements over the past few years to the point that they are now the very finest in retail lighting. No other light sources can beat LEDs when it comes to rendering eye-popping color in a store. Thanks to LEDs, retailers can ensure their products are seen in the best light.